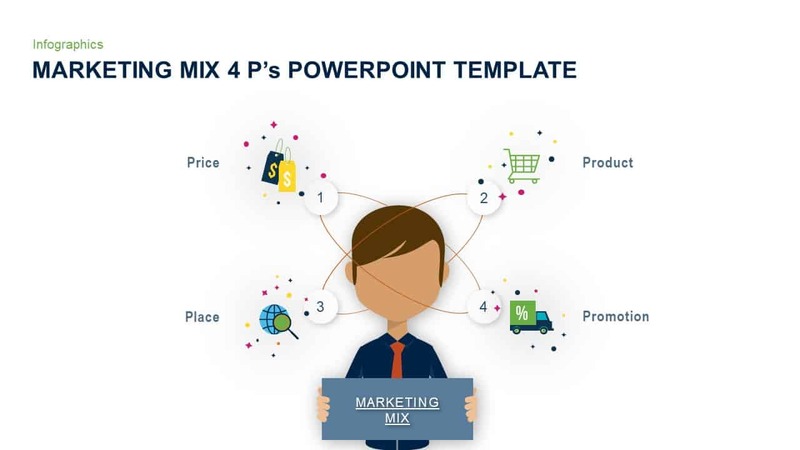 4 P's of Marketing Mix PowerPoint Template is a combined business framework for different type’s solutions. 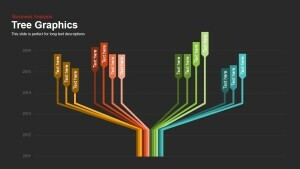 That is, software solution, consulting solutions, service solution, product solution etc. 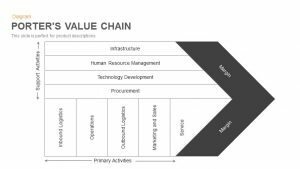 the four Ps are the classifications involved in the marketing of a good or service and they include product price, place and promotion. 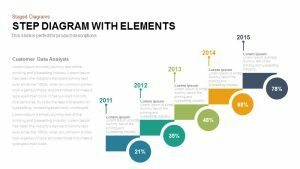 Often referred to the marketing mix, the four Ps are constrained by internal and external factors in the overall business environment, and they interact significant with one another. 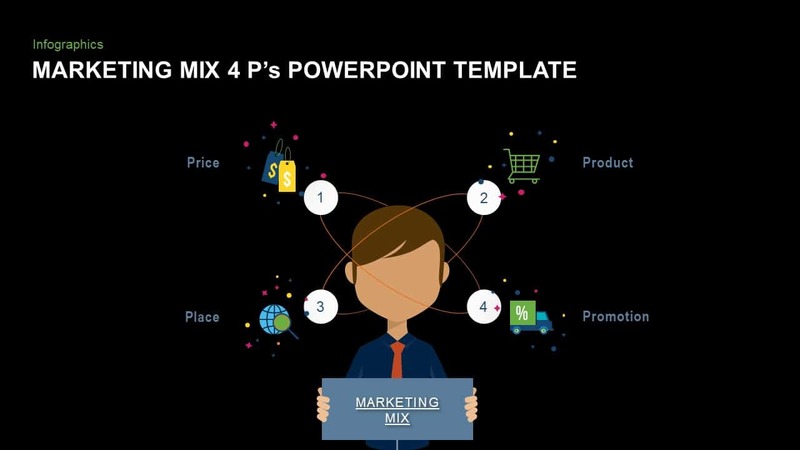 in the 1950's Neil Borden popularized the concept of four marketing mix. 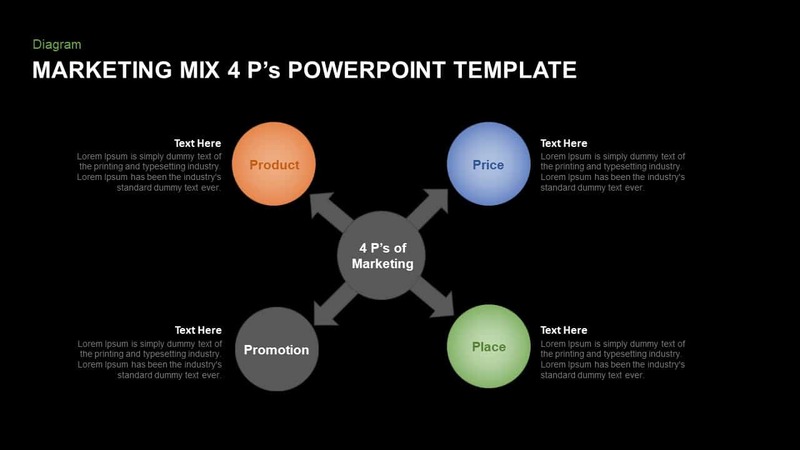 Today in business management the concept of four Ps marketing mix is still have a vital part to play. Before the internet and greater integration between business and consumers, the marketing mix helped companies account for the physical barriers that prevented widespread product adoption. 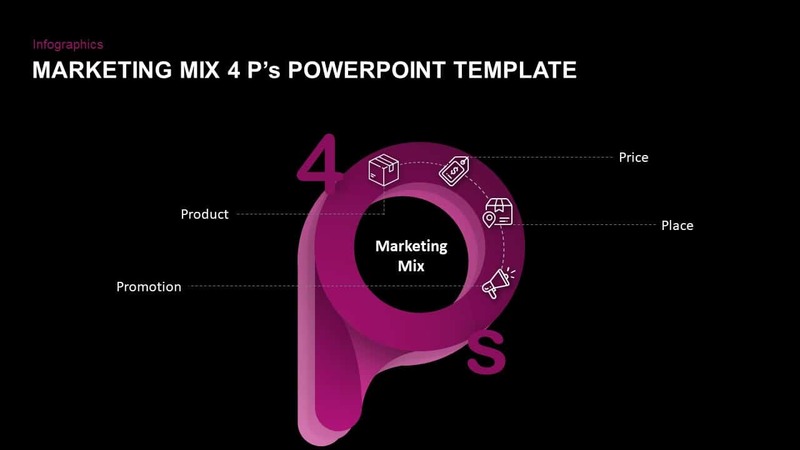 Later the 4 Ps become 7 Ps marketing mix added three new mixes include people, process and physical evidence as important components of marketing a product. 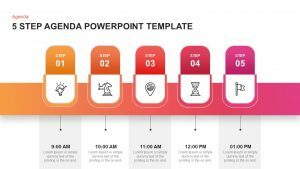 The four P's of marketing mix PowerPoint template created as an energetic yet acknowledged multi-staged diagram to capture all the significant factors impacting the subject of your meeting. 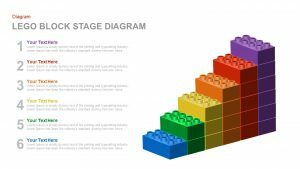 Stages of product, price, place, and promotion groomed in an easy learning format. 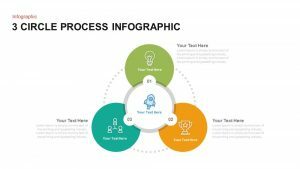 Product refers to a goods or service a company offers, ideally, a product should fulfill a certain consumer demand or a consumer believes that they need that product. 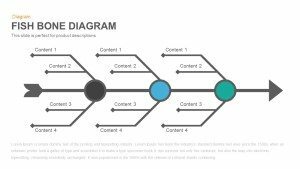 A successful marketer should understand a life cycle of a product and the customer journey to that product. The price is the cost consumers pay for a product. The deliberate variations of a price may attract a potential customer. For example, if you lower the price more consumers can try the product. 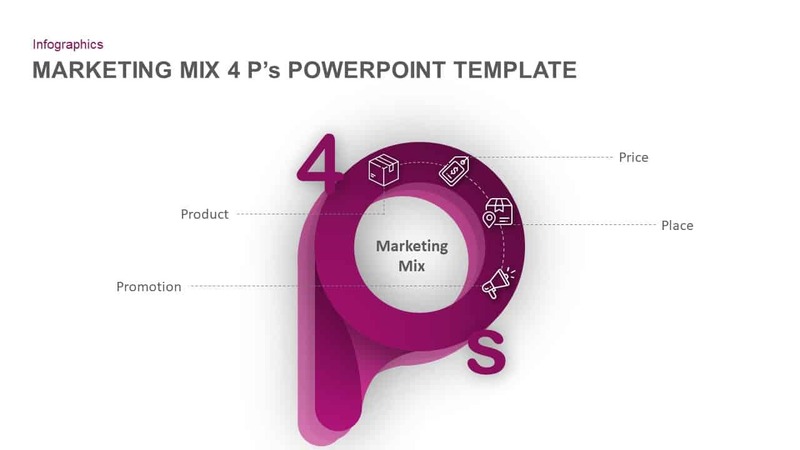 In the 4 Ps marketing mix, the third and fourth concepts stands for place and promotion. 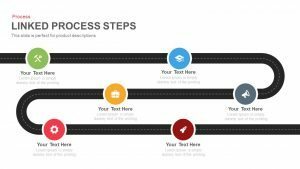 Place decisions outline where a company sells a product and how it delivers the product to the market. 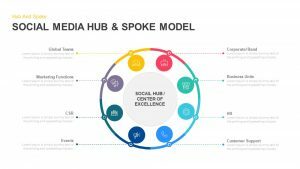 Promotion includes advertising, public relations and other promotional strategies. 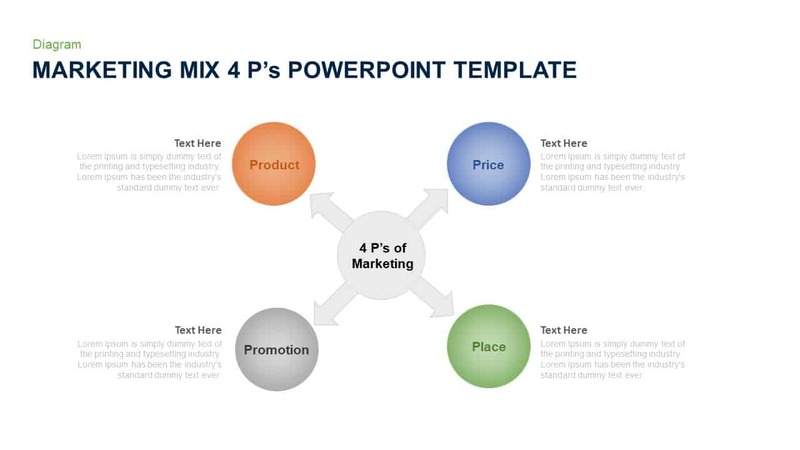 4 P's of marketing mix PowerPoint template is an editable framework. 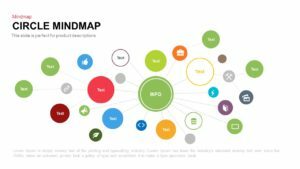 The users will be able to fully take its advantage of the graphics to the content. 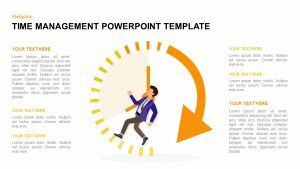 The slide elements are crafted with standard PowerPoint shapes, including the man’s animation. 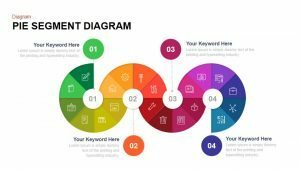 The shapes and the images ensure 100% attention of the audiences.